This portrait of William E. McKibben '82 hangs in the newsroom of The Harvard Crimson. McKibben was president of The Crimson for the 1981 calendar year. A commentator on the state of affairs at The New York Times once wrote that journalists are fond of joking about their profession’s appeal to those with extreme attention deficit disorders. Like most jokes, the humor hinges on an element of truth: namely that newsmen are often asked to cover different subjects from day to day. But when it comes to the journalistic career of William E. McKibben ’82, the humor comes more crisply if the deficit in question is read to be one of attention to anything except reporting. About 400 by-lines later in a college journalism career that would eventually see him take the top spot at the paper, any misery plaguing McKibben during his freshman fortnight of circumstantially-imposed idleness had been expiated. But former colleagues at The Crimson seem to remember McKibben’s speed and tenacity as a reporter more than the prolific volume of his output. There was the time, for instance, when McKibben returned from a late Cambridge City Council meeting with 35 minutes left until the paper’s closeout, and took a bet that he couldn’t finish his three stories for the following day in the allotted time. At stake was a bottle of scotch. Scovell, who currently splits her time between writing and directing movies, also recalls a trip to Norwalk, Conn. to cover a nuclear submarine protest. When frigid temperatures forced her and another writer to take refuge in a coffee shop, it was McKibben who forged ahead with the reporting of the story, returning only to drop off full notebooks and warm his hands. “I think that was the point where I thought, he’s going to be a serious journalist and I better start looking at television,” says Scovell. Being serious didn’t always come without its drawbacks. Laurence S. Grafstein ’82, who was one of two executive editors under McKibben, recalls a politically contentious holiday meal at the future Crimson president’s house. And even with the time for drinking beer and mulling politics at The Crimson’s Plympton Street headquarters coming to a close, McKibben’s signature intensity remained intact. When legendary New Yorker editor William Shawn called with a job offer, then-senior McKibben wrote it off as a prank by the Lampoon—a semi-secret Sorrento Square social organization that used to occasionally publish a so-called humor magazine—and the phone conversation ended with the Crimson president letting loose a choice swear word or two in parting. Looking back on the episode, Grafstein concedes, “this was basically unheard of, that William Shawn would troll college newspapers and pick out Bill McKibben.” But when—according to Grafstein—a second call was greeted with McKibben’s heated contention that the prank had not been funny the first time, his colleagues stepped in and informed him that if another call came, the words of the caller should perhaps be more patiently countenanced. A year later, a freshly-graduated McKibben was writing Talk of the Town columns for the hallowed New York periodical. His mix-up with Shawn would not keep McKibben from swiftly making an impression at his new job. 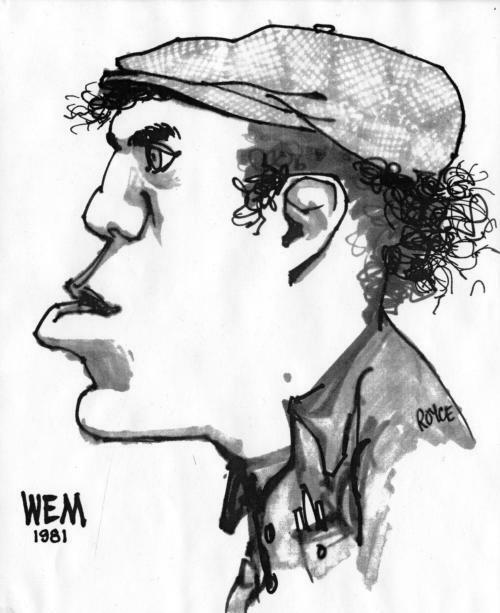 But despite his talent, McKibben left The New Yorker in 1987, after only five years on the job, quitting his post when the magazine changed ownership and the revered Shawn was fired. For his part, Schell credits McKibben’s decision with a conviction that the traditions of the magazine were about to be lost. Whatever the reason, McKibben’s departure from The New Yorker would signal a turning point in his life’s focus. There had been an environmental tinge to his politics even during college, but a move to the Adirondacks and the nearly coincident release of studies in the new science of global warming tugged at the activist—and the journalist—in McKibben. For McKibben himself, it seems that the initial days of realization were less about journalism and more about dread of the new dangers posed by climate change to the landscape he so loved. McKibben’s commitment to environmental issues has not always manifested itself in so straightforward a fashion. One project of his involved watching 2,400 hours of television, taped from a 100-channel cable network over a 24-hour period. With the pre-comp frustration of his freshman year far behind him, it seems McKibben’s attention to journalism—and even The Crimson—has not waned. The erstwhile president likes to compare some of his most recent work—the Step It Up campaign—to that which occupied him 25 years ago, when he was still watching the presses run as a college journalist. And while McKibben himself has acknowledged that the time to act on the climate change issue may be growing short, the prospect of an early closeout has never been a deterrent in the past. A good newspaperman doesn’t miss his deadlines, and McKibben, the man who once wrote 30 inches of copy in 35 minutes for a bottle of Scotch, appears just as ready to go for broke when it is the world that may be on the betting table.